Milly and Fred have moved from NH to Vail, AZ into the Dell Web Rancho Del Lago Community. 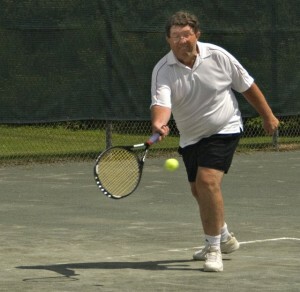 Beginning in the summer of 2010, Milly and Fred started Pickleball in many communities in the Upper Valley of NH/VT. We have played in many Pickleball tournaments all across the country. Our Vail community has active Pickleball Club. We love the outdoor life! We moved from Boston Area to Eastman in April 2002 for the semi-retirement lifestyle. Eastman is a 4 season recreation community located in the Upper Valley between Dartmouth and Lake Sunapee near the NH and Vermont borders half way up both states. We both actively engage in downhill and cross country skiing, snowshoeing and indoor tennis in winter. When warmer weather arrives, we turn to hiking on local trails, kayaking, swimming and, of course, playing tennis. Milly and Fred have captained the Eastman Tennis Men’s and Women Tennis Teams for several years. Each summer we join about 10 other Eastman kayakers on a 5 day wilderness camping trip where we pack our kayaks with clothes, tents, sleeping and cooking gear and head out into the north woods of Maine, New Hampshire or New York. Why this trip of a lifetime to Alaska? Fred’s Uncle, Fr. Ron Dunfey, was a Roman Catholic Priest who worked in Fairbanks, Juneau and Anchorage areas of Alaska. When he died about 15 years ago, Fred went to Alaska to hear Fr. Ron eulogized as an eccentric Alaskan’s eccentric. Fr. Ron’s wake and funeral Mass in Fairbanks was well attended by woodsmen who had met Fr Ron on the Yukon River. The next day’s funeral Mass at the Juneau Cathedral was full of people who had met Fr Ron on the streets or in the taverns. In the 1970’s, Charles Kuralt did an “On the Road” interview with Fr, Ron on a Denali Glacier for the National Evening News. Fr Ron was asked “What are you doing here living in this hut on a glacier? His response as the cameras panned the absolutely breathtaking mountain views was played for the next several weeks on the weekend “in the news” briefs under the title “Serenity”. We have comeback to Alaska to see God’s Country first hand and to find some of that Serenity that St Francis and Fr. Ron had found. Milly spent 25 years as a Montessori Teacher at pre-school level. She graduated from U of Colorado where she spent her spare time Skiing and mountain climbing in the Rockies. Her family spent summers on Martha’s Vineyard, MA where she enjoyed sailing and where we were married. Last year, Milly retired from running the Wendy Hill afternoon pre-school program at Colby-Sawyer College in New London, NH. Fred spent over 40 years in Applications Software development as a Manager and Database Architect for Xerox, Data General, Honeywell, Foxboro Co and Private Healthcare Systems among others. He currently does software contract development work part time when he is not working on his tennis scheduling system. Wow!! Quite a job Fred!! I am truly awed by this . May your trip be as you want it and dreamed it would be. Take care and Thnak you very much for this. Your stories are very interesting. Good Luck. I have been reading your blog off and on and enjoying it. The photos are terrific. The weather here, as I am sure you know, has been just as cloudy and rainy as in Alaska. The NYTimes had a wonderful Alaska feature in their travel section a few weeks back. I hope that someone sent it along to you. We have been hosting our son and his kids from Indonesia since the first week in June. Life is busy trying to find things to do in the rain..,go on a puddle splashing walk…go to the beach, even when you have to wear sweaters, etc., the Montshire, VINS, etc. etc. You both look great in the photos, although there are more of Millie than Fred. She must be the photogenic one. We miss you both and are so happy you are having such a wonderful journey! Milly, I am w/u in telling Fred no more ? car adventures in the water. Am enjoying all your photos and narrations Fred. We are so very happy that you are taking this Alaska Journey while you are both YOUNG AND FIT!!! Anxious to have you both back. Milly, your Eastman Tennis Team is in First Place! YIPPEE!! I have been following your amazing journey and am so in awe, not to mention envious, of your travels. You are living Gene’s dream of traveling throughout our country in a camper. Maybe someday we’ll do it, if he ever decides to retire. I think of you often as we kayak on Little Lake Sunapee every weekend. Gene has a Hobie fly fishing kayak with foot paddles that allows him hands free fishing, which he does from sunrise to sunset on most weekends. 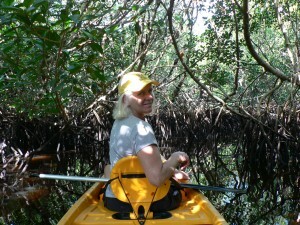 I love my Eddyline kayak that is so smooth and effortless to paddle. We are loving our new NH home and I dream of moving here full time. Looking forward to seeing you when you return. Hi Millie & Fred, We have been enjoying keeping up with your exciting adventure. I hope you are enjoying your new camper. Steve & I just came back from being in our camper for 2 weeks doing upper N.Y. State with our Son and his family. Steve & I will be taking off for 4 weeks again in the camper meeting our nephew and his wife & Son in Ky. and then going North from there. We look forward to seeing you when you return. We plan travelling out west next summer…. I can’t believe I am just now getting to seeing your website! What a wonderful adventure! And a grandbaby to boot! You will be returning to colder than usual temps, but beautiful color. Safe travels to the end of your journey! We’ll see you on the Glen soon! We are planning a three month trip in Alaska this coming summer with our TrailManor 3023. It is very encouraging to hear from others who have gone to Alaska in TrailManors. My husband had doubts that it would hold up in rough conditions. We did a 112 night trip May 24 until Sept. 12 to the West, Pacific Northwest, Alberta, and British Columbia. We want to do about that long in Alaska. Your blog is very, very helpful! Thank you so much for the the blog and photos! Anything else you’d like to tell us would be great! We don’t hike as much as you all, and we do not have a kayak, though. A good hike for us is a mile – at most 2! LOL! All moved to NYC now and just visited your site. What fun to have a place to share with your entire family!